Machines, gadgets, and high-tech are increasingly a part of Oregon's logging industry. At the Lane County Fairgrounds, stands an odd pair of heavy machines. One’s a directional feller – which takes down trees. It tethers to a tractor through a boomerang-shaped winch and pulley. Oregon logging conference board member Milt Moran says these enable “steep slope logging”…a relatively new technology. “Traction-assisted with a set of cables off of another machine, that the operator runs remotely, through Bluetooth or radio communications," explains Moran. There will also be drones…unmanned aerial systems that loggers can use for surveillance. Milt Moran, board member of the Oregon Logging Conference. There’s even a virtual reality booth that lets people experience a modern-day logging camp. As for trends, Moran says tall wood buildings are taking off. He says there’s a 12-story building in Portland being made that’ll be safer than standard steel or concrete. The conference wraps up Saturday. 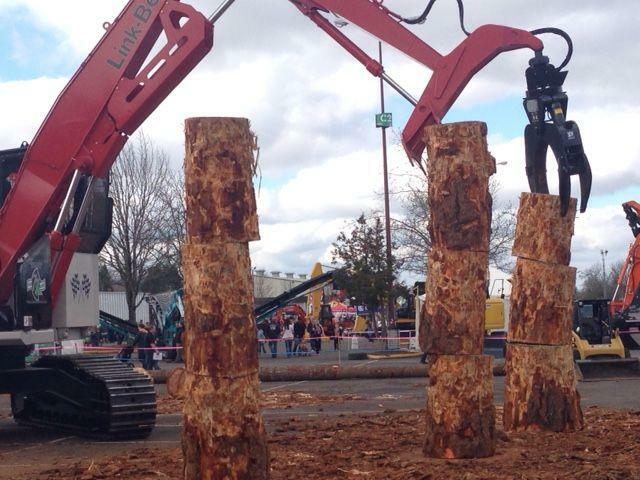 The 77th Annual Oregon Logging Conference returned to Eugene last weekend. Industry professionals, equipment, and networking are the main attractions. Saturday morning featured family activities and some friendly competition. All the heavy equipment is on display and demonstrations are ongoing here at the 2015 Oregon Logging Conference. This mobile wood splitter can dissect a tree into firewood fast. 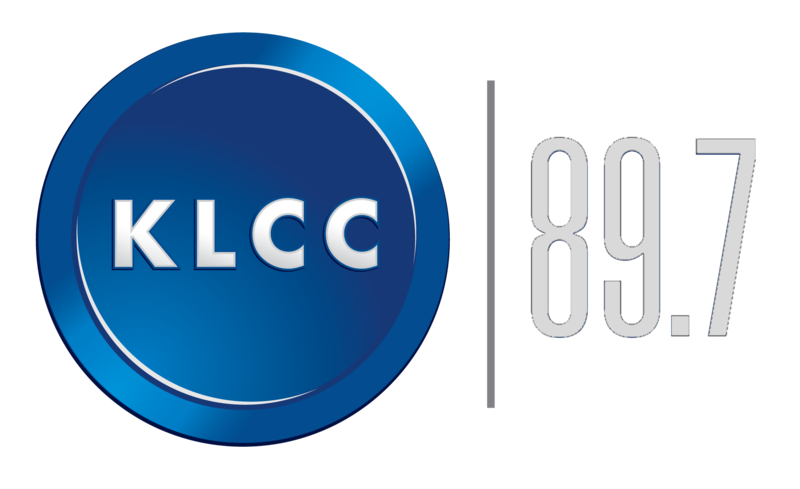 Big toys and industry information sharing aren't the only activities going on Saturday. At Hampton Lumber's Tillamook sawmill on the North Coast of Oregon, workers are packaging a bundle of freshly milled lumber with plastic and staple guns. 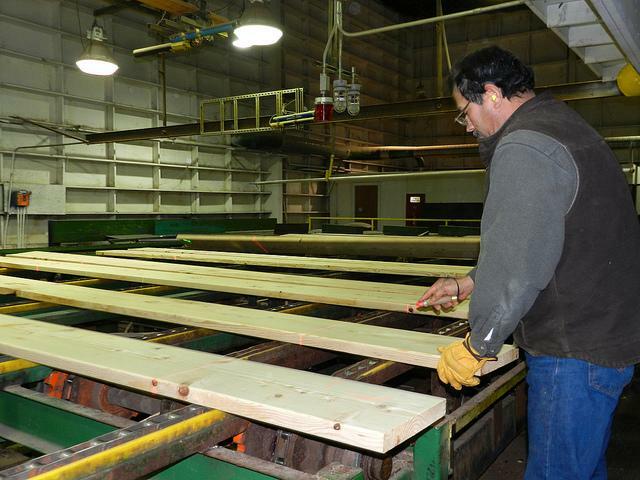 The boards look a lot like the rest of the lumber the the mill makes. But they represent a bright spot on an otherwise dismal landscape. They've been measured and cut specifically for a customer in China. And mill manager Mark Elston says they could be the key not only to keeping the mill open but may even get the mill back up to full capacity for the first time since the U.S. housing market collapsed in 2008. Washington State officials say they didn't approve clearcutting inside a no-logging zone directly above Saturday's deadly landslide in the town of Oso. 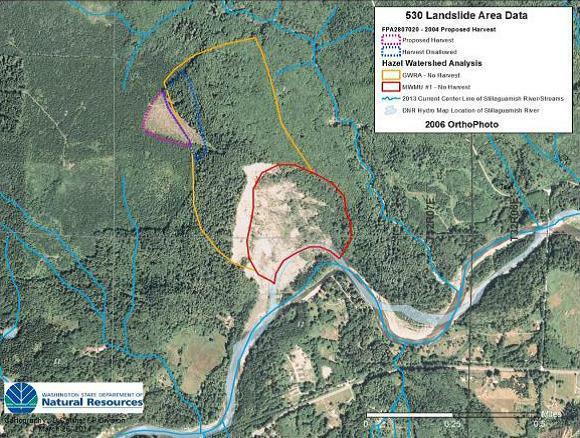 But aerial photos show a clearcut extending into the zone where a loss of trees would heighten the risk of landslides. Removing forest cover can increase the amount of rain water that finds its way underground. Geologists say the extra groundwater can destabilize the already unstable soils deep beneath landslide zones.